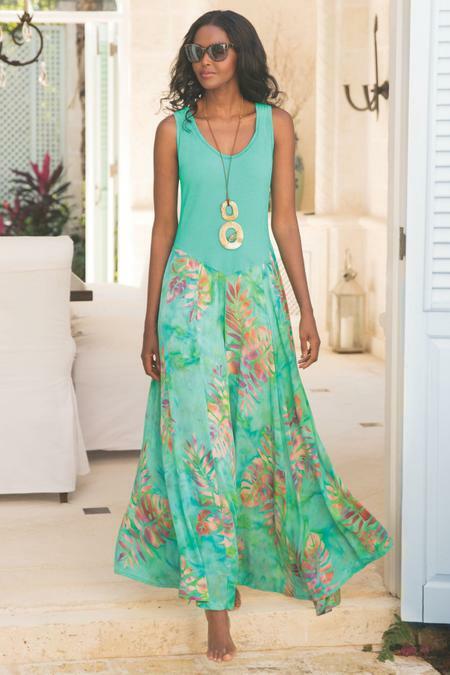 A balmy beauty, this island-dreams dress skims curves comfortably with a solid knit bodice, then unfurls into tropical flora on a skirt of lagoon-hued woven challis. With a flattering dipped waist and maxi-length paneled skirt. Cotton/spandex knit bodice, rayon challis skirt. Misses 53" long.